Jesus fed the multitude, and Denise Amenta is prepared to do the same on this December day, as a raggedy man slips into the St. Mark Parish food pantry in Warren, two minutes before closing time. St. Mark has a lot of everything at the moment. Arranged along a hallway in the church, different rooms offer baked goods, canned goods, even meat from a line of freezers. Getting food into the pantry isn’t the problem, Amenta said – the various food relief agencies that serve the mostly suburban communities of Macomb County keep the shelves well-stocked. And that’s good, because the need is higher than ever. Warren grew as a vigorous middle-class city, populated with well-paid blue-collar workers. Today, it’s typical of how poverty has taken hold in places it once was rare – American suburbs. A recent Brookings Institution publication noted that the decade of the 2000s saw the suburbs of major metropolitan areas witness “the largest and fastest-growing poor population in America.” In Michigan, Grand Rapids saw its suburban poor increase nearly 88 percent since the 2000 census; in the Detroit Metro area, it’s closer to 115 percent. All of the state’s 14 congressional districts saw an increase, a trend reflected elsewhere in the industrial Midwest. It’s a shift that is complicated by the fact that the nation’s relief agencies remain largely clustered in urban centers, according to the report, “Confronting Suburban Poverty in America,” leaving the suburban poor to seek help from a much patchier safety net. 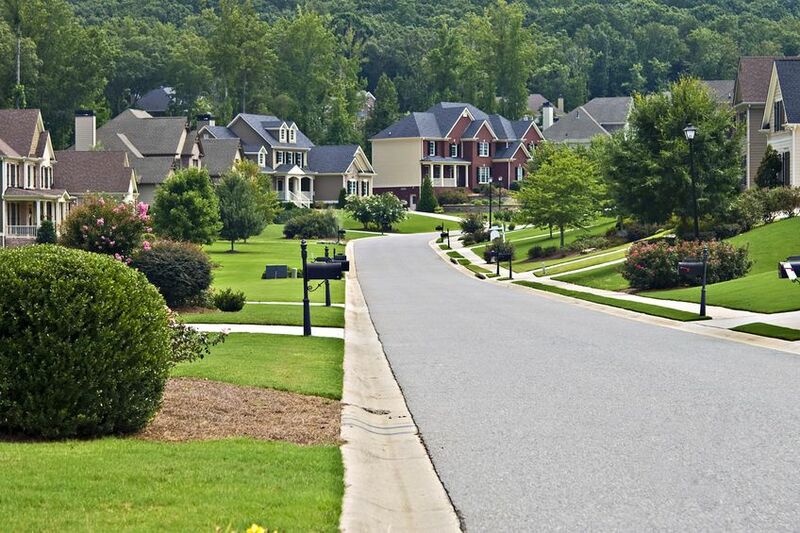 In the last 12 years, the U.S. suburban poor population grew by 65 percent, more than twice the pace of growth in cities, said Elizabeth Kneebone, a co-author of the study. It’s important to note that despite a huge surge in suburban poverty it still is substantially lower than in the state's poorest cities. In Macomb County, for instance, just over 11 percent of people are considered living below the poverty line, while 36 percent of Detroiters are. But the rapid rise over such a vast area in the suburbs has made it difficult to deliver important services to a growing population, experts say. “And the foreclosures were just unbelievable,” she said. But even with so much abandoned housing, finding something affordable remains a challenge for many of the people she serves. The sprawling Detroit area in particular, Kneebone said, can provide unique challenges to those living at the margins. “Three-quarters of jobs (there) are 10 miles or more away” from the urban core, which makes transportation a problem for many. Only 18 percent of jobs in the Detroit-Warren area are accessible via public transit within 90 minutes, the Brookings report said. With all these factors at work, other institutions may find themselves pressed into service as relief agencies. Judy Pritchett is chief academic officer for the Macomb Intermediate School District, and said the numbers of homeless students in the county have been increasing for some time. State data puts the ISD's homeless population at 1,139. Just a year earlier, it was 877. Statewide, the numbers climbed from 31,133 in 2010-11 to 37,532 the following year, said Pam Kies-Lowe of the Michigan Department of Education. The estimated number for the current school year is 37,722, with nearly three-quarters living in "doubled-up" housing, i.e., staying with family or friends. The definition of homeless, in these cases, doesn’t necessarily mean children living in shelters or cars, but under federal law includes any lacking “fixed, adequate and stable” housing, and it covers thousands of students in Detroit’s two largest suburban counties, Oakland and Macomb. “Ironically, even though the economy is improving, the number of homeless is rising,” said Pritchett. Macomb is still a growing county, attracting many families from Wayne County, which includes Detroit and “probably contributing to the overall poverty” of the school district, she said. Throughout the county, 44 percent of students qualify for free or reduced lunch, which schools generally use as a measure of poverty. That’s a sharp increase from a decade ago, when it stood at 23 percent. Next door in more-affluent Oakland County’s 28 school districts, “there are homeless students in every one of them,” said Susan Benson, who directs community programs for the Oakland ISD. Benson estimates there are roughly 6,000 such students throughout the county, although the schools believe they’re only seeing about a third of them, with the remainder concealing their circumstances from school officials. Just in the last few days, trucks collected the proceeds of a coat drive for Oakland County students, en route to the schools and agencies that will distribute them. “I got a call from a man who said he used to donate money (to relief efforts),” but had recently lost his wife to illness and home to foreclosure, “and I’m living in a car with my 14 year old,” said Benson. The needs of students like this have led to food-pantry operations in many schools, where students fill a backpack with simple, easy-to-prepare food to carry them, and perhaps their families, through the weekend, said Pritchett, of Macomb. In those schools where volunteers seek grants or raise funds by other means, school officials may even add freezers so that students may take home meat, as well. Benson calls these efforts “building a plane in midair,” because they are so far removed from a school’s traditional mission they often require extraordinary and creative effort to pull off. But, she added, the schools have little choice but to step up; if students are hungry, they’re more likely to do poorly in class, which can cause a different set of problems. And teachers are uniquely qualified to recognize a hungry, underdressed or otherwise needy student before the family has reached out for help. I'm seeing beggers on a regular basis in the Lansing area holding up signs at busy intersections saying they are homeless, unemployed disabled vet, will work for food etc. used to never see that, it is now a very common sight. I've managed a church food pantry for the past eight years in Macomb County. The need has increased every year and there's no sign of things getting better. At first, it was families hit with an unexpected expense, so they would get food for a couple months to catch up. Now, we have families that aren't making it. If your single adult with or without disabilities, you might get $16 a month in food stamps. The food bank that supplies our food has had their budget cut, so many of their shelves are empty. We serve dinner once a week. We now have 15 to 20 homeless people joining us. Many of these people live outside, some even in the winter. I keep hearing that things are getting better. I say "no way."